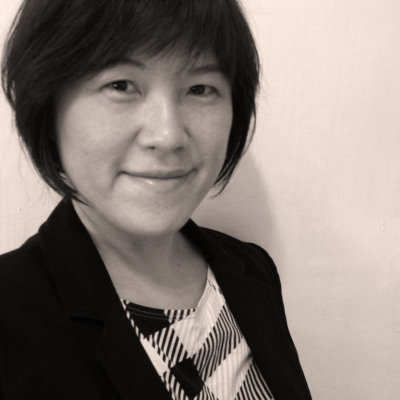 EXECUTIVE COACH -- Cheng Shiowjiuan is an ICF Associate Certified Coach and a Senior Action Learning Coach of the World Institute for Action Learning (WIAL). She is the CEO of Action Learning Co., Ltd. and co-founder of WIAL Taiwan, where she has worked as the Chairperson since 2014. In 2009, she proposed to a Taiwanese publisher to translate the Chinese edition of renowned action learning book, “Optimizing the Power of Action Learning: Solving Problems and Building Leaders in Real Time“, by Michael J. Marquardt. This book prompted the start of action learning in Taiwan. She also translated the Japanese book “How to Make A Team Brain“ written by Fumiyo Seimiya, the Chairperson of WIAL Japan. Shiowjiuan teaches action learning and a global leadership program in Japanese and English as a special appointment Assistant Professor at Rikkyo University in Japan. Part of her work is to train more than 100 student coaches every year enrolled in the University. To support this work, she created an action learning table game as a training tool. Specialties in Leadership Development, Executive Development, Action Learning, Executive Coaching, Management Development, Marketing Strategy, and Workshop Facilitation. She is an Associate Certified Coach, International Coach Federation, and a Senior Action Learning Coach, World Institute for Action Learning. Shiowjiuan is fluent in Japanese, Chinese and English and speaks conversational Taiwanese. She completed a Master’s and Doctoral program at the University of Tokyo and has worked for Hakuhodo. Shiowjiuan lives in Japan with her Japanese husband and travels around Asia. She combined her professional coaching skills and personal interest in stationery to create a series of self-coaching planners which have become best sellers in Taiwan since 2013. Wrote “One Centimeter Great Thinking to University of Tokyo” in Chinese.